Singing with the LMU Choruses has never lost its powerful appeal, even after my long 22 years of participation. Second only to singing our glorious music are the opportunities to travel and share this music with new audiences. Annual Spring concert tours with this group have brought me much joy ever since my first tour back in 1993, during my freshman year of college. For someone who has a hard time approaching others and forming new relationships, these tours have helped me grow more comfortable with my fellow singers, and form new relationships with audience members and host families alike. All of it through the sharing of music. There’s nothing quite like the trust and confidence that virtual strangers are willing to extend to each of us, after hearing us perform together! The insights that I gain in new circumstances and talking to new people also help me sort through other aspects of my life, and put them into perspective. This year’s concert tour to Northern California was shorter than usual, but more meaningful in more ways than one – for me personally, as well as for our choir in general. We caught a late morning flight out of LAX on Friday, April 4th, arriving in San Jose just after noon. I immediately called the Nguyens, a Vietnamese couple who had hosted me in their home on past tours. By the time our tour bus pulled into our hotel in Santa Clara, they were already waiting for me in the parking lot. We caught up with each other over lunch in a restaurant across the street. Later that afternoon, my fellow singers and I travelled to St. Andrew’s Church in nearby Saratoga, where we held a brief rehearsal. A buffet-style dinner was provided for us at that site by the parents of one of our singers, whose family had close associations with that church. We performed an especially poignant concert that evening, trying out our difficult Spring Chorale repertoire with piano accompaniment. Going by the comments that we later received, our audience members were as touched by this music – and our performance of it – as we were. Sitting in the front row that evening were my cousin Chia-Yen and his entire family of six: his parents, his wife, and his two young sons. It was the first time they’d heard me in performance, and known about my involvement in such a wonderful group. 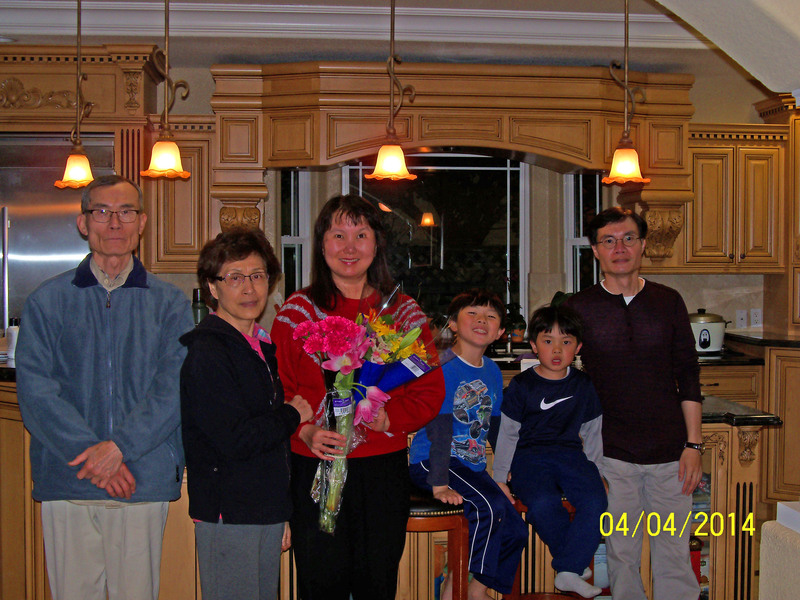 At the end of our concert, my cousin’s sons Max and Mason each presented me with a beautiful bouquet of fresh flowers. I then joined them at their home in nearby Cupertino for some rest and conversation. I felt pampered when my cousin’s wife Lifen packed a large Tupperware container of fresh fruit for me to take back to my hotel room. The following morning, since we were departing at 7:30 for the city of Brentwood (an hour’s bus ride away), I rose at 5 a.m. to shower and pack my belongings – only to discover, to my dismay, that the hotel didn’t start serving breakfast until 7:00. (That container of fresh fruit that I’d stored inside my room’s mini-fridge sure came in handy!) We traveled to Brentwood, then held a short rehearsal with the Children’s Choir at Immaculate Heart of Mary Church, whose conductor is a fairly recent alumnus of our choirs at LMU. Among our audience members that afternoon at our joint concert were lots of enthusiastic parents. We trimmed our own concert program to allow time for the children to perform their own pieces. It was a big success. I believe we succeeded in leaving a positive impression of our university on the students and their parents alike. Perhaps they will keep LMU in mind when the time comes for these children to attend college! Later that afternoon, we all boarded our bus again, heading to the San Francisco pier for a free evening. 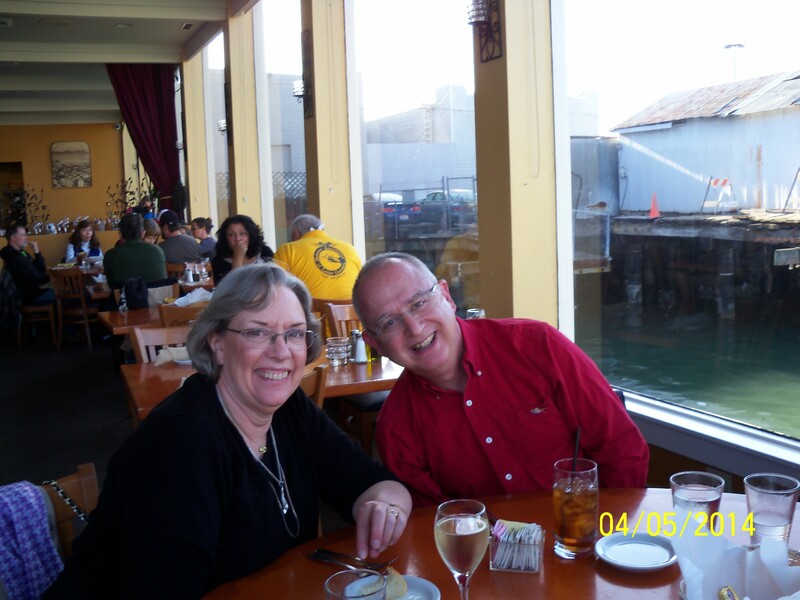 I joined our conductor, accompanist, and three other choir alumni in strolling a few blocks outside of Pier 39 (where we were dropped off) to have dinner at a waterfront seafood restaurant called Castagñola’s. 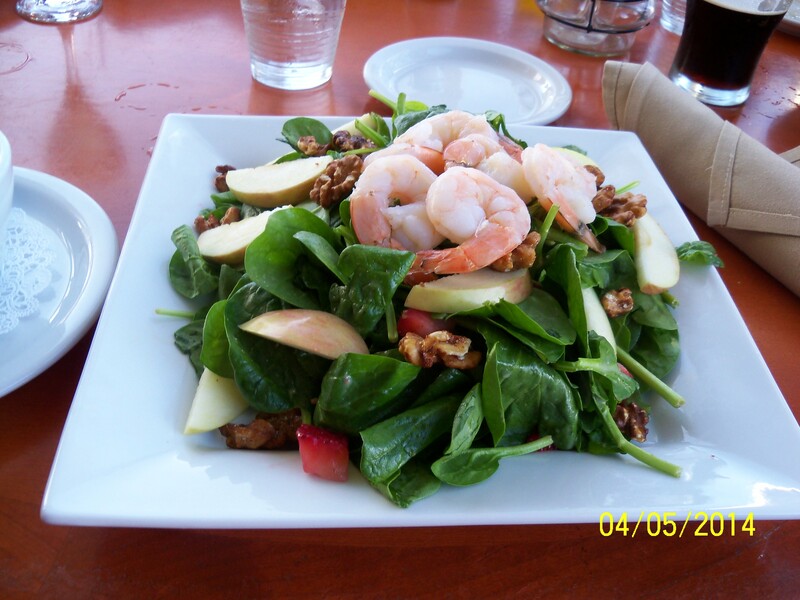 My plate of fresh spinach salad topped with bay shrimp was delicious, and my companions that evening, delightful. 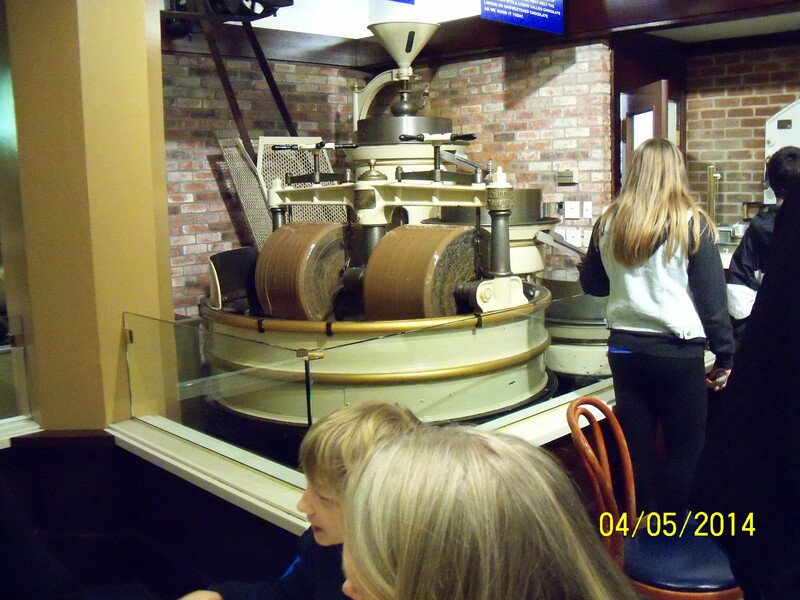 As we strolled around the waterfront after dinner, passing (among other shops and cafes) a Ghirardelli’s Chocolate Factory, I reflected how much more comfortable I felt among companions older than I – whose more relaxed walking, dining, and conversational pace all suited my own more closely than that of younger college students. We rose early again on Sunday morning to board our flight back to Los Angeles and conclude this brief but very enjoyable tour. This particular outing was also much more meaningful than most of our other tours, due to the announcement that our conductor had made on its first morning: that our beloved founder and Dr. Breden’s predecessor, Paul Salamunvich, and passed away after a long illness. We had first begun planning this tribute to Paul when we heard the news last September that he was hospitalized upon falling severely ill. Even before he was diagnosed with having contracted the West Nile virus, we began our plans to dedicate this Spring Chorale to honor him, and hoping he would recover well enough to hear it. 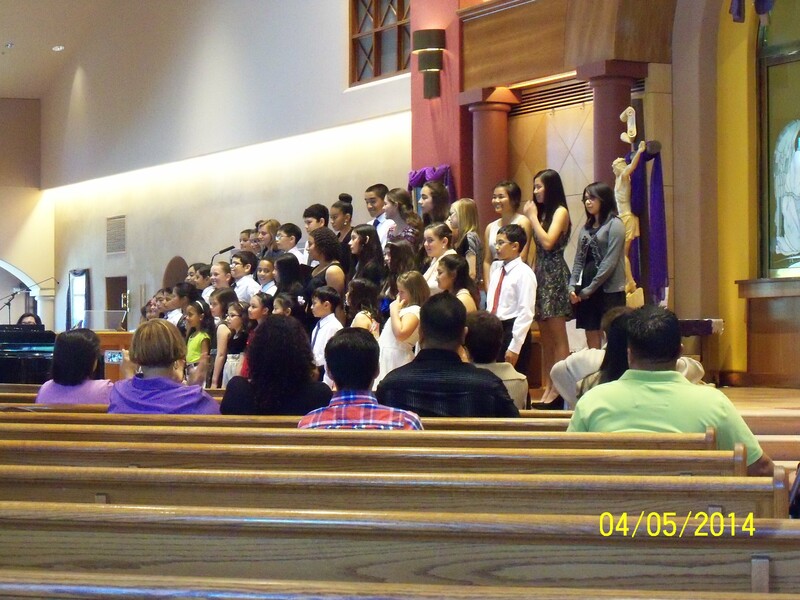 We then built our program accordingly, including pieces that utilized Gregorian Chant, Paul’s area of expertise. Back in the fall semester of 1992, I’d stepped into my very first rehearsal with the LMU Choruses as a not-quite 18-year-old college freshman. I had known nothing about the LMU choral tradition, only that its new conductor, Dr. Mary Breden, had just taken over the its reins. She made it abundantly clear, from the very beginning, that we had a tremendous reputation to live up to, created and passed down by Paul Salamunovich, who had departed the previous year to take over the L.A. Master Chorale. (I’d never heard of that institution, but I had heard of the L.A. Philharmonic. Assuming that the Chorale was that orchestra’s equivalent, I was suitably impressed.) 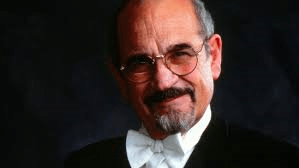 Paul had founded the entire LMU Choral Program, and built it into its present institution. “Anyone here who cannot achieve the expectations we demand here will be promptly asked to leave,” Dr. Breden further declared. “Believe me, there are plenty of others eagerly waiting to replace you.” She then picked at every little mistake that we made, criticized every vocal tone produced that she didn’t like, and fiercely growled her dissatisfaction at anyone whose attention wandered away from our music during subsequent rehearsals that semester. After she yelled at us at one point, I must’ve had a frightened expression on my face, for the alto sitting next to me – a senior named Michelle Means – leaned over and muttered, “Ha! She’s nice, compared to Paul. When he doesn’t like something, he would single you out and yell insults directly into your face!” She demonstrated by screwing her face into a scowl and jabbing an index finger into the air before her. “Hey, you!” she growled. She proceeded to move her lips in an animated manner, as if firing off a stream of abusive words. Walking back to my dorm room after rehearsal later that night, I thanked my lucky stars that I’d arrived at LMU only after Paul had departed! However, these impressions were soon replaced by new ones. Later that semester, I joined the Consort Singers to perform at an event during our university’s Alumni Reunion Weekend. As LMU’s most distinguished alumnus, Paul would be in attendance. We planned to surprise him by asking him to come up to the stage and conduct our final work, titled America – a moving arrangement of all three verses from My Country ‘tis of Thee. An unsuspecting Paul Salamunovich sat among the audience members at that particular event, wearing a casual shirt in a wild Hawaiian print. After we finished singing the rest of our pieces, Dr. Breden made her planned announcement, calling Paul down to the stage area. His eyes widened, his expression freezing in place for a few moments in surprise. He slowly lowered his head to look down at his attire. When he raised it again, that expression shifted to one of disbelief, as if saying, You’ve got to be kidding me! A flurry of giggles erupted from my fellow singers on the risers behind me. Paul then squared his shoulders and made his way down to the stage, where we were standing. Below his wildly colorful shirt, he had on a pair of khaki shorts, and flip-flops on his feet instead of shoes. My smile of amusement turned into a wide grin. I had to fight the urge to run up and give him a big hug! Our performance of the America nonetheless brought all of our audience members to their feet. In subsequent years, Paul became increasingly human to me in bits and pieces through the stories Dr. Breden related throughout our rehearsals: incidents that his choirs encountered at festivals and subsequent reactions from audience members; his wife Dottie bustling backstage to manage the women’s makeup and concert attire; the tradition he began of singing “Silent Night” in tribute to his daughter Nannette after she died. Paul himself would attend all of our major concerts at LMU whenever he was free. I also had various opportunities to sing under his direction: he worked with us whenever we held joint concerts, here at LMU, with the St. Charles Choir that Paul continued to conduct. He took over one of our regular rehearsals when Dr. Breden was undergoing treatment for breast cancer. And, of course, more than 100 LMU chorus alumni joined us when we traveled to New York to perform at Carnegie Hall in 1997. At one point during that outing, we surprised him again by singing to him “The Lord Bless You and Keep You”, a short hymn we would bestow to special audiences during our concert tours. Even though he had conducted that particular piece numerous times himself, Paul was literally moved to tears – for he had never before been its recipient. I never did work up the courage to approach Paul and give him my hug. Instead, I kept him in mind when I created a choir conductor character while writing my children’s novel. I mixed together my memories of him with all that I’d learned throughout my own years with the LMU Choruses. While I continue to seek the right conditions for publishing that novel, Paul is always close to my thoughts whenever I sing at LMU. Please join us at our upcoming Spring Chorale concert, taking place on the LMU campus Friday, May 2nd, 2014, where we will pay special tribute to Paul. I call myself a writer. Ever since I was a little girl, I’ve felt more comfort communicating through reading and writing than through listening and talking. I had, in fact, picked up my fluency in the English language largely through reading novels written for children – whose characters couldn’t jump out and taunt me for using or pronouncing words inappropriately. Trying to interact with my actual peers, on the other hand, caused me plenty of emotional trauma. After college, armed with an English degree, I completed a novel for middle grade readers (ages 8-12), drawing from my own experiences. I then took several more years to revise and polish it to my satisfaction. It felt like big accomplishment. Only then did I realize that getting this manuscript published will likely be even harder than writing the book! For a brief summary on how traditional publishing works, click here. For the subsequent two or three years, I invested time in looking up appropriate publishers and sending query letters to them about my book. Then I became aware that most publishers will not take a manuscript seriously unless it came to them from a literary agent. Various writing groups that I joined, and a number of university extension courses on the writing profession that I took, provided insights on how to refine my query letters and format my manuscript to the specifications of each agent. I heeded warnings on how to distinguish legitimate agents from the ones who charge fees before doing any work for clients, who drop names and boast of huge advances. I contacted masses of the former and received only two or three offers to read my actual manuscript. All resulted in rejections. At a literary conference I attended in Portland, Oregon in 2008, I finally managed to meet agents in person, and capture the interest of one who offered to read my book manuscript. However, feeling that my main character was “too perfect”, she asked me to have that character make some mistakes through a new revision. I followed my instincts and spent the subsequent year adding a new subplot to explore my main character’s growth through trial and error. It lengthened my manuscript by eight chapters, and some new subject matter made it more appropriate for slightly older readers (ages 10-14). But this character growth satisfied my instincts much more than the previous version had. Unfortunately, my agent did not agree. She informed me that she was now unable sell this new version, and promptly withdrew her offer of representation. Months passed by before I recovered from my devastation. I eventually resumed the process of querying agents. However, the publishing world had been changing throughout the time I took to revamp my manuscript. The rise of the Internet and alternate formats for publishing materials – such as e-books – had altered the scope of traditional publishing. Roles played by the author, the literary agent, and the publisher were no longer what I had previously understood. Authors now needed to shoulder the brunt of promotion (making their work known to the public), well before those books are put on the market. For me, this is the scariest part of being a writer – even now that the Internet allows me to do a good portion of this promotion in writing. So this blog will be my newest venture. Its formal purpose will be creating a constant dialogue with my reading audience, along with sharing bits and pieces of my writing process. I hope to include how other aspects in my life shapes my writing, and, in turn, the impact that this process has made on that life. My other purpose for this blog will be keeping friends and acquaintances – both old and new – up to date on what’s currently happening in my life. I hope to find a steady rhythm for posting here within a short amount of time. Please check back every so often for updates!